The large tradition out of the Val de Travers: the family Kübler produced Absinthe already since the year 1863. 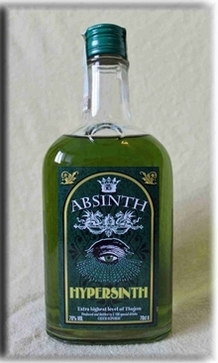 After Absinthe was forbidden in Switzerland in the year 1910, they achieved now to find a little whole in the legislation and are now the only company from Switzerland that is allowed to produce the "Extrait d’Absinthe"
The result is a crystal-clear Absinthe, which is in fact "La Bleue". It has a milk-white louche and a taste excellent! Long awaited by a lot of Absintheurs! The 57% vol. alc. version is in our opinion better than the 45% vol. alc. version.